My mother was born in Kew in 1917 and was the eldest of four children. With the need for her father to find work just before and during the Depression they found it necessary to move quite frequently. In 1921, after the births of Henry and Audrey, mum’s family moved to Church Street, Gt. Burstead and lived in the celebrated Tin Hut, now demolished, for most of that decade. Audrey recalls that this was one of the happiest times of their lives as they had so much freedom. Even so, the accommodation was rather devoid of luxuries; the W.C. was outside and the tin bath was brought in once a week and put in front of the fire! After another couple of moves including Twickenham, where mum’s youngest sister Muriel was born in 1929, and then to Fulham and Hampton, the family returned to Laindon in the 1930s to live in a bungalow in Royston Avenue. From there mum’s father and brother cycled to work at the engineering factory, A A Cullis & Co in South Green, between the King’s Head P.H. and Barleylands. Eventually the whole family moved to a house called Inanda, now renamed Wheatlands, situated almost opposite the factory which was owned by mum’s Uncle Bert. He lived in the small bungalow within the grounds. Another member of the Cullis dynasty was mum’s Uncle Joe who owned the well known Cullis pram shop in Ongar Road, Brentwood. For a time in the 1930s mum worked in St. Faith’s hospital, now demolished, in Brentwood and the International Stores in Billericay High Street. Later, she too worked in the office at Uncle Bert’s factory and that is where she met dad who worked on the shop floor. In those days it was frowned upon if office staff fraternised with the workers. Consequently, when they were courting, mum and dad would hide in the nearby fields and Uncle Bert would drive around hoping to discover them together! Dad and his family lived nearby in a detached bungalow called Farmview ,now demolished, near the far end of Mill Road. In the 1960s when I delivered newspapers along Mill Road, my paternal grandfather was one of my customers. Mum attended Gt. Burstead County Primary School in Laindon Road in the early 1920s followed by her younger sister Audrey a few years later and then my brother and me in the 1950s. It was a harsh regime there in the early days and I have to confess that when I was there, 30 years later, it wasn’t exactly the most joyful time of my life either. Mum and dad married on 8th October 1938 at Gt. Burstead Church. Rev. Simpson conducted the service and the bridesmaids were dad’s twin sisters, Eileen and Queenie and mum’s youngest sister, Muriel – all of whom are still alive today. 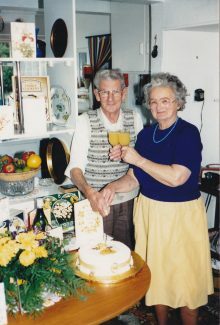 They started married life living in a bungalow in Church Street (almost opposite the Tin Hut) and spent many cold and uncomfortable nights in an Anderson shelter during WW2. Mum must have been relieved that she married and moved out of Inanda when she did because the Cullis factory was obviously a prime target for the Luftwaffe and it suffered extensive bomb damage in January 1941. Her former home opposite the factory was also damaged which resulted in the rest of the family evacuating for a while to live in Elizabeth Cottage at the end of Billericay High Street. When hostilities ended and the house was repaired, her parents moved to Richmond and then to Buckinghamshire. As we didn’t have a phone then, mum used to write copious letters to my grandma. She was naturally delighted when they moved back to Essex in 1958 and settled in Hengist Gardens, Wickford. My granddad died there in 1970 and my grandma died at Sindlesham masonic home in Berkshire in 1985. My brothers Robin and Pat were born in 1942 and 1946. After a short spell living in Seven Kings from 1947 until 1949, where I was born in 1948, mum and dad returned to Billericay and lived in Hickstars Lane where there was a diverse social mix of neighbours. Mum sang in Gt. Burstead Church choir and delivered the Parish Magazines around the South Green housing estate. In the early 1950s dad became a Special Constable and could be seen on point duty directing traffic at Sun Corner before traffic lights were installed. He also assisted in keeping law and order at Canvey Island when it was devastated by the great flood in 1953. 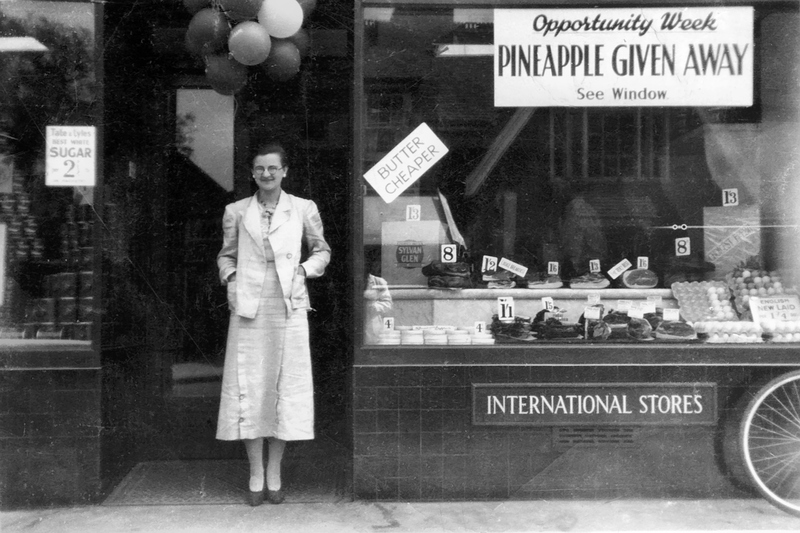 Mum liked working in shops and was good at handling money. 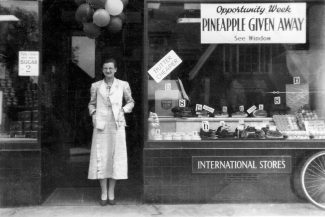 In the early 1950s she worked at Gatley’s general store adjacent to Gt. Burstead Church. I can remember admiring Mr Gatley’s pristine Ford Zephyr 6 parked in the back yard! He also owned a sweet shop in Laindon High Road, almost opposite the old police station, both now demolished. Mum worked there on Sundays and as we didn’t have a car then he allowed dad to use his Fordson 10 delivery van for the day. I can remember a journey in it once bouncing about in the back whilst sitting on a pouffe. No seat belts in those days! Mum was quite dexterous with a pack of cards and enjoyed whist drives. These were held at the South Green Memorial Hall on Wednesday evenings and in the Rose Hall on Friday evenings. In the mid 1950s we acquired our first car and dad tried to teach mum how to drive. As he was not blessed with a surplus of patience there were occasional arguments – as I could testify whilst sitting on the back seat. Finally she passed her test after having driving lessons with Mr Giachardi in his legendary Morris Traveller reg. 4005F. I passed my test in the same vehicle 10 years later. Each of my lessons cost 17/6d, or if we used dad’s Morris Minor 1000 saloon, the lessons cost 12/- (60p). When the new Green’s Stores shop opened at no.128 High Street in January 1957, mum worked there until my brother, Robin joined the staff in May straight from school. It was then a traditional counter service shop. The last shop I can recall her working in was Keymarkets in the 1980s, which has now metamorphosed into a Poundland store. During the late 1960s, mum collected from local residents, one shilling (5p) per week for the Spastics Society (now Scope). In those days, before decimal currency, I collected coins and I knew that some shillings were more collectable than others. So when the contributions came in, I would carefully sift through them all and swap those with particular dates! Mum and dad moved from Hickstars Lane in 1963 to Chantry Way and then moved round the corner to Mayflower Road in 1974. From 1957 onwards, dad worked as a toolmaker at Marconi in Chelmsford. He retired in 1980 and they celebrated their golden wedding anniversary in 1988 when the whole family dined at the Duke of York in South Green. Mum was heavily involved with the Methodist Church in Western Road and before her health deteriorated, she played the piano at the Women’s Guild meetings. One evening in1982, she persuaded me to give the members a slide show which described and illustrated some of my holiday destinations overseas. After dad died in 1995, mum continued living in Mayflower Road until 2001. For her own safety I persuaded her to give up driving and sell the car! She then went to live in Abbeyfields retirement home next to the Emmanuel Church in Laindon Road. She was very happy there and well looked after. She had her own room with en suite and there was a communal lounge and dining room. Tragedy struck in 2003 when Henry, her only brother collapsed and died inside her room. I visited regularly and organised her medication in a pill box for each week. For a short time mum owned an electric mobility scooter and on one sunny day we circumnavigated the path around Lake Meadows. It was the first time she had been in the park for over half a century. When she became less mobile, we would occasionally borrow a wheelchair and I would take her up and down the High Street to reminisce and she would bemoan all the changes since the good old days! Once we even ventured inside The Fold where she went to school in the 1920s and the memories for both of us came flooding back. 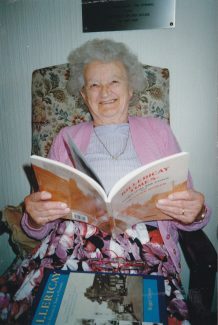 When she died in 2006, her funeral service was held at the Methodist Church and was attended by close family, including her surviving sisters as well her friends from church and Abbeyfields. 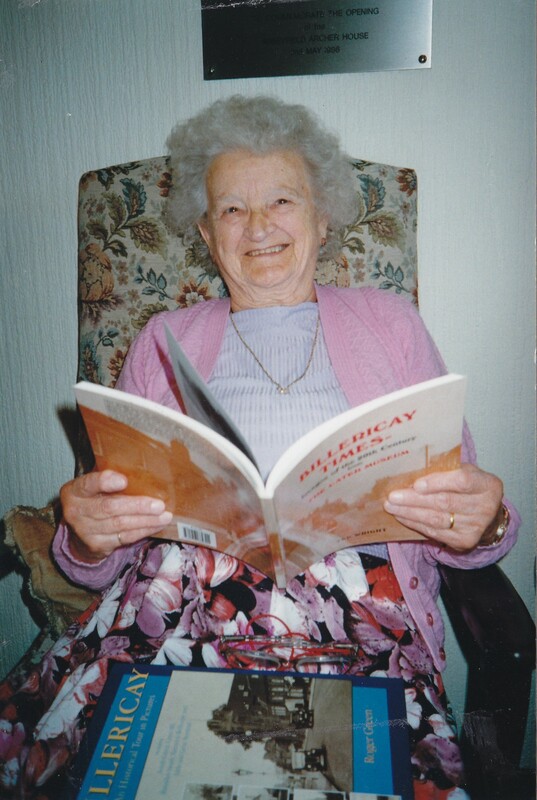 She had a long and active life and took with her many happy memories of living in Billericay. Many thanks to Audrey Maddock (nee Cullis), Muriel Allen (nee Cullis), Robin Lockhart, Eileen Lockhart and Sylvia Kent for their help with these memories. Thank you for the interesting story. The Uncle Bert that owned the factory was my grandfather. Hi, I’ve lived in Canada since 1966, but Bert Cullis was my granddad. I’d love to hear more from family connections in England. It is great to read about you Mum’s very full and happy life Terry. My Mum Hazel Morley new her for many years – they worked together at Key Markets and Mum also saw her at Abbeyfields when my parents delivered library books for the residents.